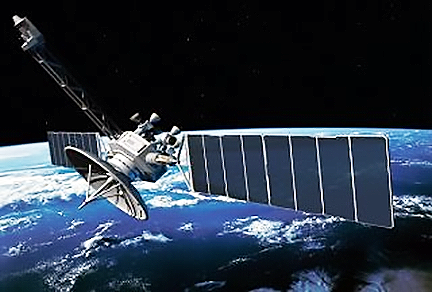 Ethiopia is set to launch its first Earth Observatory (EO) satellite in September of 2019, joining a list of few African countries that have put the devices into orbit, this according to a news report in the African Globe online publication, authored by Andualem Sisay. China has provided training and funding for the project, according to Dr. Solomon, who added that the design, development and manufacturing of the satellite, done in collaboration with the Chinese, cost $8 million. “Our main goals for launching this first satellite are two. The first is to build technology application capacity and skills of our engineers through collaborations with different countries’ space scientists and institutions,” said Dr. Solomon. He noted that the technology and knowledge transfer will enable the Ethiopian scientists “design, build and launch the second satellite independently.” There are 20 Ethiopian aerospace engineers involved in the satellite project. About 60 masters and Ph.D. students are also taking part in research and training at the space institute as well as the country’s multi-billion dollar Entoto Observatory and Research Centre, Dr. Solomon said. The Entoto observatory center, the only of its kind in the region, has two, one meter telescopes and a spectrograph to measure wavelengths of electromagnetic radiation. Ethiopia is collaborating with universities and observatory centres from around the world including the United States, United Kingdom, France, Italy, Spain, Russia, South Korea, Chile and South Africa. Some of the students in its space program are from Tanzania, Rwanda and Uganda. The second goal, according to Dr. Solomon, was to save the country from spending money buying data and information it could collect for its development agenda. He told reporters that the satellite will be used to gather data on water, agriculture, climate change and the environment. Ethiopia will join seven other African countries that have built and launched satellites. They are South Africa, Egypt, Nigeria, Ghana, Algeria, Morocco, and neighboring Kenya — which launched its smallsat in May 2018. Angola launched its first satellite in December 2017 but lost it four months later. Russia, which built the communication satellite, is building another one for Angola, which is set for launch in 2020. In 2017, the African Union passed an African space policy calling for the adoption of a framework to use satellite communication for economic progress and the development of a continental outer-space program.